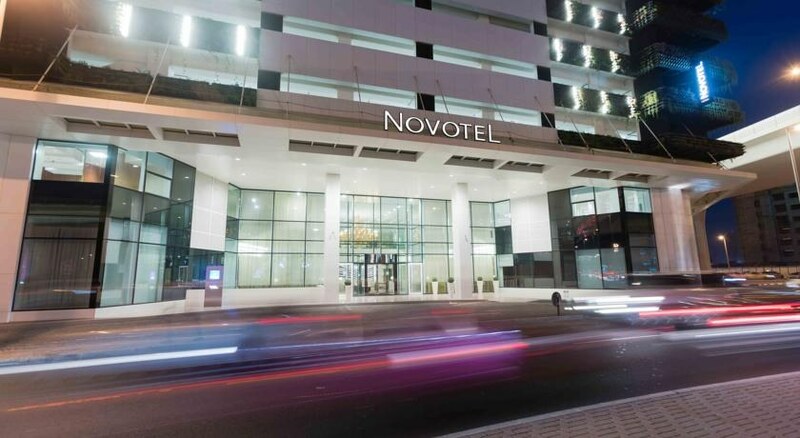 The Novotel Dubai Al Barsha redefines 4-star hospitality with its central location towering over Sheikh Zayed Road. It boasts easy access to the city's top leisure attractions and business hubs, with nearby transport facilities that will take you further into the city. Facility wise, the hotel has an inviting outdoor swimming pool, a full-service spa and an extensive range of restaurants and bars to indulge in, from all-day dining to a chic, zingy cocktail bar overlooking the bustling city. 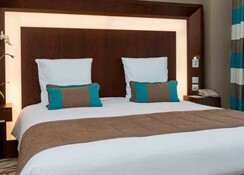 The 465 rooms in Novotel Dubai Al Barsha are spacious and contemporary, with all the modern amenities a guest would expect from a 4-star establishment. 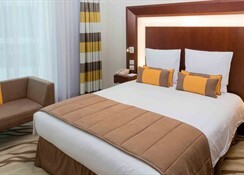 If you want to explore the city, the hotel is within proximity to tourist attractions including the Wild Wadi Waterpark – a great day trip for families – the Burj Al Arab, Souk Madinat Jumeirah, Ski Dubai, Mall of Emirates, or, take a 10-minute walk to the Sharaf DG Metro Station and go a little further. 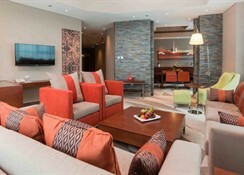 Novotel Dubai Al Barsha also features five restaurants to indulge in. This modern high-rise is 325 metres away from the Sharaf DG Metro Station and towers above the busy Sheikh Zayed Road in the heart of Dubai. It's 6km away from the bustling Dubai Marina and the Dubai Mall is 13km away. The Wild Wadi Water Park and Mall of the Emirates are both 6km away and the hotel offers free daily shuttle services to nearby beaches and malls. The Dubai airport is 23km away. The hotel offers 357 guestrooms, 19 suites, 89 fully furnished suites with elegant interiors. Up to two children under the age of 16 can share their parents' room. All rooms feature free WiFi, minibars, flat-screen TVs, and tea/coffeemaker. Upgraded rooms and suites may have iPod docks and living/dining areas. Room service is available 24/7. 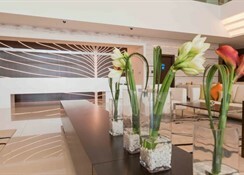 Novotel Dubai Al Barsha offers a ballroom, a business centre and a meeting space. 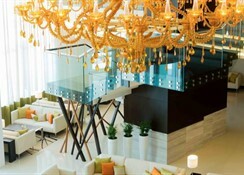 Novotel Dubai Al Barsha has an upscale restaurant serving global cuisine for breakfast, lunch and dinner. Guests can savour freshly cooked dishes alongside hot pizzas and breads from a Pizza Oven and Rotisserie. There's an exciting live cooking concept too. The Deck Se7en bar by a glistening pool serves tropical cocktails and a there’s 24-hour café to enjoy beverages and light bites in a relaxed setting. The hotel has two large heated pools (including one indoor), with a poolside bar and a sauna. The Spa and Wellness centre offers rejuvenating massages and therapies. For children there’s a children's pool and a kid’s club avaialable. The neighbourhood has lots of exciting shopping, fine-dining options and tourist attractions. Ski at Ski Dubai, stroll on Jumeirah Beach, potter around the Souk Madinat, take selfies at the Burj Khalifa and the World Trade Centre which are all a short hop away. Me and my family booked two rooms very spacious excellent location breakfast was top class great hotel will definitely visit again.